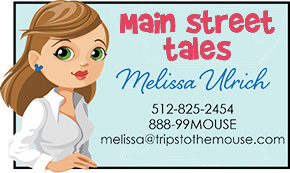 Hi Mamas and Papas, Today I am excited to introduce you to an Adventures by Disney itinerary. Adventures by Disney is the premiere way to see the world with Disney service every step of the way. The other group travel companies just don’t compare to the experience that you will have with Adventures by Disney. The group is kept smaller, you get to participate in more VIP experiences, and ultimately you get up close and personal with the culture. You have the option of traveling with or without children and a lot of itineraries you will find are multi-generational for an even more special family vacation. You will have an Adventures by Disney guide that will be with you the entire time and in each city you will also have a local guide. Special attention is paid to the Junior Adventurers(the kids) to make sure they are able to enjoy the culture on their level. This is definitely the way to show them the world! 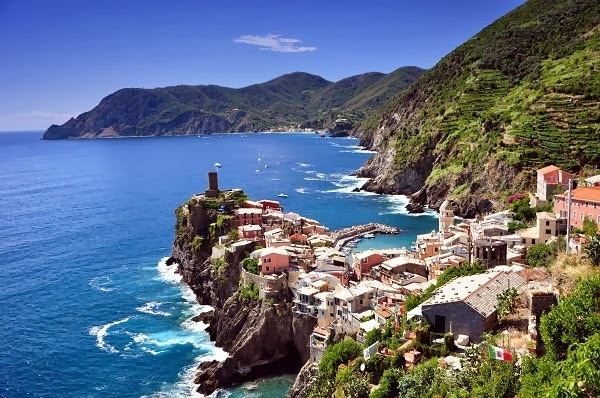 One of my favorite countries to visit is Italy so naturally today we are exploring one of the three itineraries that visits Italy-Italy and the Amalfi Coast for 7 nights and 8 days. This is the ultimate of summer vacations! May 25, 2014 through September 28, 2014 are the dates this Adventure is being offered. There are nine tours during that time, two are adults only, and two are accepting waitlists but that leaves plenty other opportunities. Day 1-arrive in Naples via air or train. I personally recommend that my clients arrive a couple of days in advance and explore another city before starting this Adventure. I can definitely help with those arrangements as well. From the moment you arrive, you are taken care of by Disney. You will check into your hotel and enjoy meeting the other families on your Adventure and have an incredible Italian feast. All accommodations are top of the line on an Adventure by Disney. Day 2- You will visit Positano, one of the worlds’ most photographed places and Amalfi today. Your guide will give you all the information you could possibly want on these two destinations. And then you are given time to explore at your own pace. 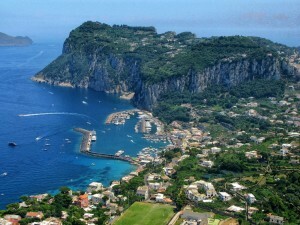 You will end the evening in Sorrento and will stay at this resort for two nights. 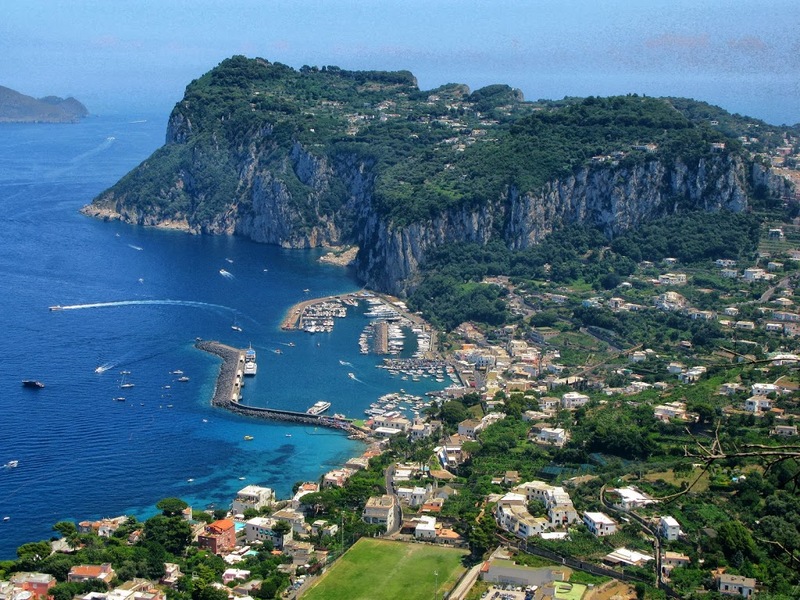 Day 3 – You visit the Isle of Capri and enjoy the freshest seafood you can find. You will do a private cruise and swim in the Mediterranean. After this afternoon in paradise you head to the Agriturisimo La Galatea Farm. Some of my favorite things to do in Italy involved seeing how the food is grown and prepared. You will learn how the Olive Oil is pressed (and will likely become spoiled on the real Olive Oil, we still have some shipped to us it is so incredible) and how Mozzarella Cheese is made. Then you will get to make pizzas with the experts. Dinner will be the pizzas and other goodies from the farm and you will see a traditional Italian folkloric dance presentation. Day 4- Tour Pompeii with a private guide and lunch in Naples. Then you take the train to Florence and get settled into your hotel for the remainder of your Adventure. Florence is one of my favorite Italian destinations. 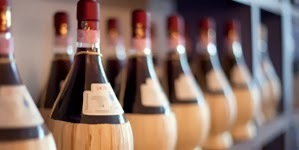 This evening you dine at one of my favorite restaurants there- Trattoria Casa Toscana. I recommend at least one person in your family tries the Bistecca alla Florentina. After dinner the adults enjoy a wine tasting and the junior adventurers enjoy a classic Disney movie! Day 5- Today is all about the must sees-the Duomo, David and the Uffizi Gallery. You will have a private local guide for the Uffizi and the Junior Adventurers will be doing a Art Detective game throughout to keep help them explore on their level. This evening you are on your own. I can help you arrange something in advance or you can ask your guide as well. Day 6- This morning head to Monteriggioni, a hilltop town. 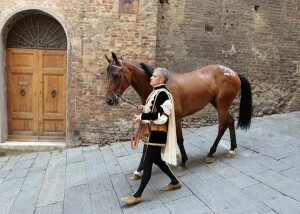 Then you adventure over to Siena. In Siena you will enjoy exclusive entrance to the Eagle Contrada Museum to learn more about the famous horserace that is over 400 years old. You enjoy Florence in the evening on your own. Day 7-You will hop on a bike and ride on the medieval walls of Lucca just like the locals do. 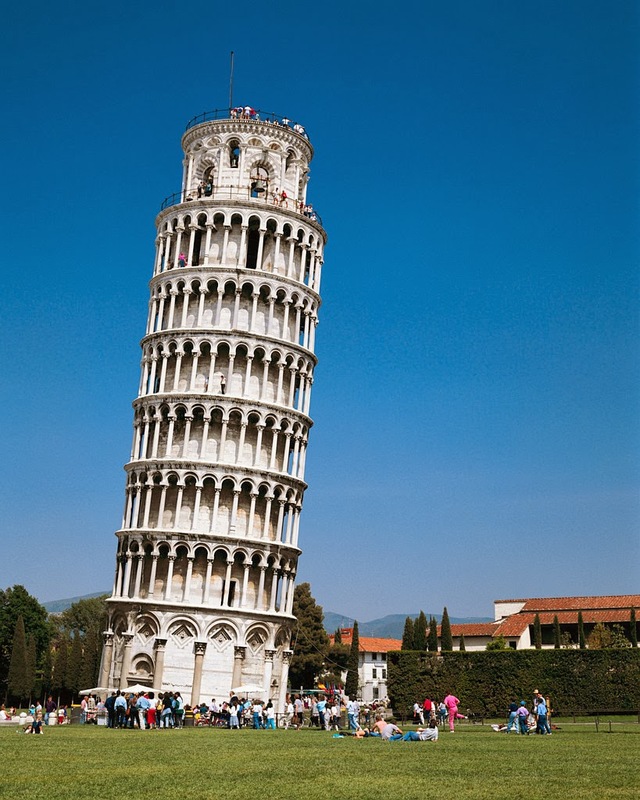 There’s an afternoon adventure in Pisa. And this evening you will have a farewell dinner in Florence. Disney always has some surprises at the farewell dinner. Day 8-Say arrivederci to Italy as Disney handles your departure. Or extend your stay for a few more days. I am ready to pack my bags! How about you? So I know you are wondering by this point, how much does this cost? The price ranges from $4370 up to $4900. The earlier you book, the lower the price. One thing I love hearing from my clients who have priced out other options, is when they come back and say, “You were right! 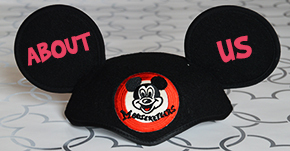 Disney really does include everything.” It’s true, other tour companies will nickel and dime you so the price you think you are paying is not the real price when it’s all said and done. Disney doesn’t do that. Almost all of your meals, all of your transfers, taxes, fees, etc are all included. The gratuities for the Adventure guides are not included but the local guides are included. The other huge difference between an Adventure by Disney and the other companies is the accommodations. You will always stay top of the line with Disney. You will be in the city center and part of the action. That is rare in a group travel experience and you will really get to enjoy more time experiencing the local culture as a result.